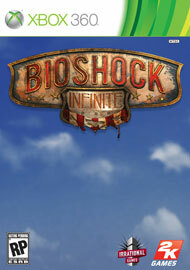 BioShock Infinite is an upcoming first-person shooter video game and the third game in the BioShock series. Previously known as "Project Icarus", it is being developed by Irrational Games for a 2012 release on the Microsoft Windows, PlayStation 3 and Xbox 360 platforms. 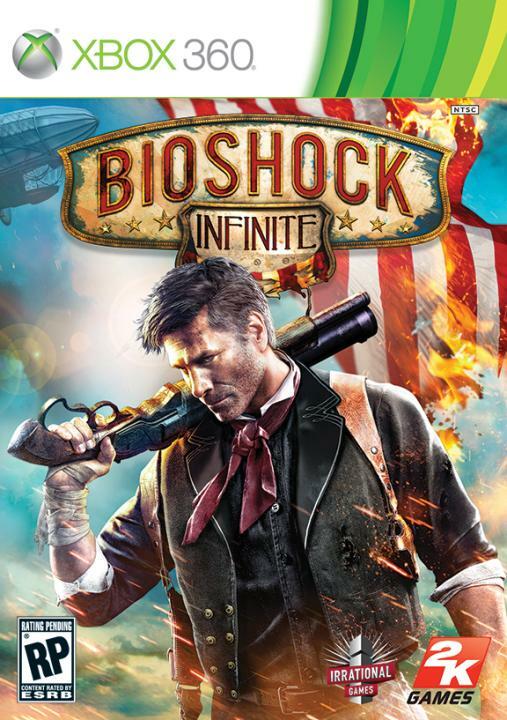 BioShock Infinite is not a direct sequel/prequel to previous BioShock games, taking place at a previous time and different setting, though features similar gameplay concepts from these games. The player controls a former Pinkerton agent, DeWitt, as he attempts to rescue a woman trapped aboard the collapsing air-city, Columbia, in 1912. 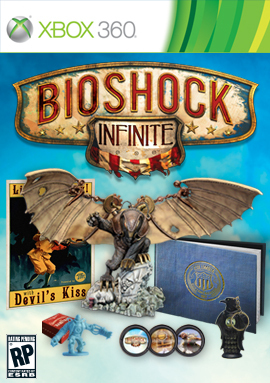 Bioshock Infinite DLC taking you back to Rapture, before Big Daddies. Under the Sea? Big Daddy's return? I don't think so. The first BioShock Infinite DLC is coming, but will it be worth it? I wrote a review months back. I only gave Bioshock Infinite a Rent it! So you can probably guess, I'm not too excited for this DLC. Rapture looks cool, but I don't think I'll hunting Big Daddies anytime soon. GoukiJones shares his secrets to playing BioShock Infinite on Hard. Also gives his take on whether you should, Buy, Rent or Flush it! Use Possess. Wait for that enemy to die or kill himself. Hit the next enemy with Possess, wait for him to die or kill himself. Do this until everyone is dead. Out of Ammo, Salts or in need of Health? Just wait for Elizabeth to throw it to you. She'll even toss you Rockets. What? She hasn't tossed you anything in a while? You could be fucked, try back tracking a little & have her hide in a different area, she'll keep throwing you stuff. Level up whatever guns you like using most. You can't level up every gun. Stick with what works. Side note: Upgrades (other than additional ammo) seemed worthless anyway. For a 1999 achievement you can't even use vending machines. That makes me think the guns are even more irrelevant. If you need more help, check this out. BioShock didn't leave me with any great memories. I think Tomb Raider was way more fun to play. BioShock Infinite really missed out on the Big Daddy hunts. Yeah there are the Handymen to battle, but those fight were whack & there's only like 4-5 of them. 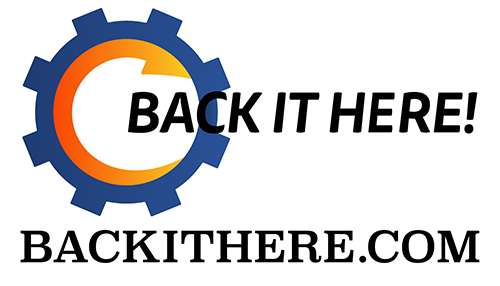 There's no reason to back track in the game. It's very straight forward. Combat was bland as well. The guns didn't feel great & weren't very fun to shoot. Plus I was just possessing most of the Jimmys & letting them do all the work. I didn't use much of the other Salt power things either. Elizabeth was cool & I love how she HELPS you. Her AI was great, unfortunately the AI of the Jimmys you were fighting against wasn't too great. Maybe they should have saved some for them. Bad guys pretty much just shot back from where ever they were. I never saw anything smart. & the Handyman were Zzzzzzz, like I said, he would just rush you down, so you just run away, turn around & shoot. Big disappointment. You could beat this game on hard fairly quickly & with not much of a challenge. Fighting the ghosts was the toughest battle for me. But then I adapted to that soon enough & that wasn't challenging either. I like the Skyhook stuff, that's 1 of the coolest was to get around in any game that I've seen in a while. Doesn't do much for the rest of the game tho. I didn't like BioShock Infinite, but I don't hate it either. You should Rent it.